Girl dress inspired heart growth. 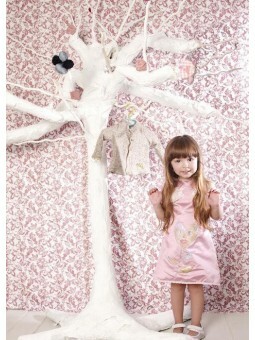 Girls dress made of fabric raw silk and silk all hand painted in the details leading the way. The finishes are made in old lace, old passementerie in the chest and woven taffeta on the chest of the loop. Each piece is unique. Heart detail and the plant are made in wild silk.